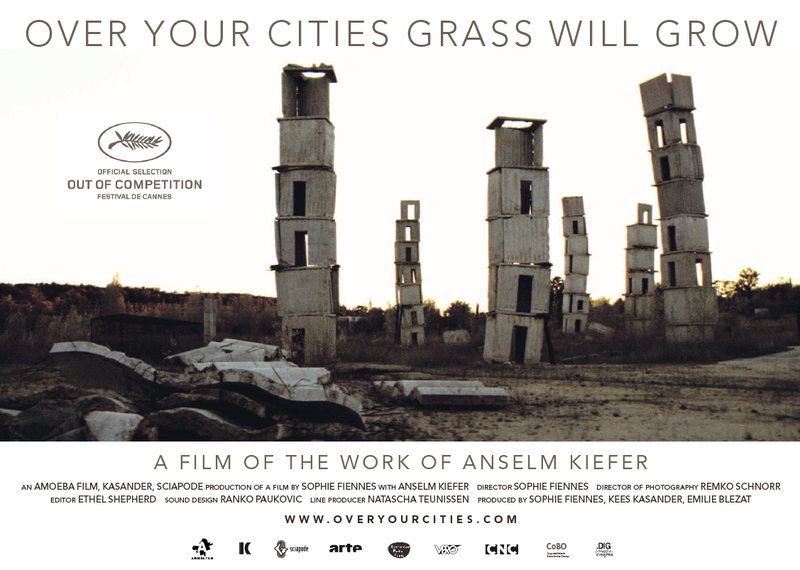 Just watched the brooding, almost wordless documentary directed by Sophie Fiennes, featuring one of my favourite artists, Anslem Kiefer. The film premiered at Cannes last year, and examines the work of the 65-year-old German, famed for his apocalyptic and harrowing industrial landscape paintings and sculptures. Back in 2000, Kiefer started building 'La Ribaute', a series of elaborate installations, at a derelict factory near Barjac in the south of France. The resulting work is sprawled over a 35-hectare site and is composed of massive underground tunnels, organic paintings, industrial sculptures, and crumbling stonework structures. After a 25-minute introduction which pans through much of this work, Kiefer emerges in his studio and, aided by assistants, expertly manipulates lead, concrete, ash, soil, glass and even gold as he works on some amazing pieces of art. The film features an unsettling atonal soundtrack by the composer György Ligeti and is not for the faint-hearted; it makes Koyaanisqatsi look like a Hollywood blockbuster. In some ways Kiefer's methods are very much like those of Jackson Pollock. There is a sense that the 'action' of creating his work is an integral part of the expression, and much of his art is constructed on the ground. Later in the film Kiefer is interviewed, and talks about his belief that the sea, being the original womb of all organic life, drives many of our dreams and spiritual beliefs. What emerges is a portrait of a giant of late-twentieth century art who still has something essential, original and unapologetically nihilistic to say about the human condition and where we are all going.